Dr. Elizabeth Autry is still early on in her career, but that doesn’t mean that she hasn’t had the chance to accomplish great things already, including taking an active role within PPAG. She is currently the clinical pharmacist for the Pediatric Pulmonary, Allergy, and Immunology services at the University of Kentucky – Kentucky Children’s Hospital with an emphasis in the management of pediatric cystic fibrosis (CF) patients. In addition, she is an adjunct assistant professor with the University of Kentucky College of Pharmacy and serves as the Assistant Program Director for the PGY2 Pediatric Pharmacy Residency program at UK. The groundwork for her involvement with PPAG began in her final year of pharmacy school with a rotation in the NICU. That rotation helped her to expand her pediatric interest and understand the networking opportunities PPAG offers. It was her second-year specialty residency where her involvement really began as her mentors and preceptors stressed the benefits of PPAG and helped her discover all that the organization had to offer. After all, her program director at the time, Dr. Robert Kuhn, was in the second class of fellows for PPAG. Since that time, Dr. Autry has gotten a chance to discover all that the organization has to offer. Among the aspects that she appreciates most are the networking, mentorship, and educational components of PPAG. She also likes the close-knit nature of the group. She has joined several Special Interest Groups (SIGs) and had the opportunity to present at the Fall Meeting in Tucson in 2016. This opportunity for professional development helped make that meeting one of her favorite PPAG meetings thus far (the other being the 2017 Annual Meeting in Charlotte for being one of her first meetings out of residency). Her organizational involvement also assists her on a daily basis. She notes that the collaboration in the listserv helps to present solutions to complex clinical cases or institutional practice changes. Dr. Autry believes that PPAG’s future is particularly bright and is excited about all that is to come in the years moving forward. The organization’s strategic plan presents exciting opportunities for each of PPAG’s four pillars: collaboration, advocacy, research, and education. She would encourage students and new practitioners looking to be more involved in PPAG to find ways to be present and active members. Many ways to get involved exist if you are just open to them and willing to ask. New members should identify the areas that they are most passionate. This includes identifying particular interest areas of patient care and getting involved in the SIGs that best reflect that. She also recommends taking advantage of the networking opportunities at the national meeting. Finally, she would recommend not overextending oneself in the beginning. My conversation with Dr. Autry was truly enjoyable as her passion for the organization was evident throughout the conversation. I also asked Dr. Autry to share an interesting fact that many of us might not know about her. It turns out that her fourth year NICU rotation included an opportunity to practice intubation skills on ferrets, and she was able to successfully accomplish the intubation. Dr. Autry is a true inspiration for many new practitioners like myself and I hope that many of you will get the chance to get to know her at a future meeting! Michelle Condren, PharmD, AE-C, CDE, BCPPS, FPPAG has been named the 2019 recipient of the Richard A. Helms Award of Excellence in Pediatric Pharmacy Practice. Established in 2006, the Helms Award recognizes exemplary pediatric patient care, sustained and meritorious contributions to pediatric pharmacy practice, education, new knowledge, and PPAG. Dr. Condren earned a Bachelor of Science in Pharmacy and a Doctor of Pharmacy degree from the University of Oklahoma College of Pharmacy and completed an ASHP-accredited Pediatric Specialty Residency at Texas Tech University Health Science Center School of Pharmacy in Amarillo, Texas. Dr. Condren is currently a Professor of Pediatrics at the University of Oklahoma School of Community Medicine in Tulsa, Oklahoma, where she also serves as the Director of Pediatric Research and the Director of Pharmacology. Previous to her current appointments she served as Chair of the Department of Clinical and Administrative Sciences at the University of Oklahoma College of Pharmacy in Tulsa. Finally, Dr. Condren started her pediatric pharmacy career on faculty at Texas Tech University School of Pharmacy. Dr. Condren is an established leader in pediatric pharmacy ambulatory care. As a Certified Asthma Educator (AE-C) and Certified Diabetes Educator, she has established several outpatient practice areas in asthma, general pediatrics, cystic fibrosis, neurology, and diabetes. Through her collaborations with physicians she assisted in the establishment of the Tulsa Cystic Fibrosis Center as an accredited center with the CF Foundation. Her passion for this population is evident through her many years of dedication and leadership. In addition to being recognized by pediatric pharmacy organizations, her work has been recognized by her college of medicine colleagues. This has resulted in the expansion of pharmacy services and funding of additional pharmacists by the college of medicine to expand outpatient pediatric pharmacy services. One of Dr. Condren’s strongest assets is her desire and innate ability to mentor pediatric pharmacists. As evidenced by her many nominations for this award, her lasting impact of those she works with is invaluable. She truly has made a difference in so many student’s lives! She has been an active member of PPAG since 1998 and has served on various committees including the PPAG Recertification Advisory Committee and Education Committee and chaired the Ambulatory Care Special Interest Group and the Pulmonary Special Interest Group. Johannes N. van den Anker, MD, PhD has been named the 2019 recipient of the Sumner J. Yaffe Lifetime Achievement Award in Pediatric Pharmacology and Therapeutics. The Award recognizes significant and sustained contributions toward the improvement of children’s health through the expansion of the field of pediatric pharmacology and therapeutics. Dr. van den Anker is the Vice Chair of Pediatrics for Experimental Therapeutics, Evan and Cindy Jones Endowed Chair in Pediatric Clinical Pharmacology, Chief of the Division of Clinical Pharmacology, Children’s National Medical Center, Washington, DC, and Professor of Pediatrics, Pharmacology, Physiology, Genomics and Precision Medicine at the George Washington University, Washington, DC. 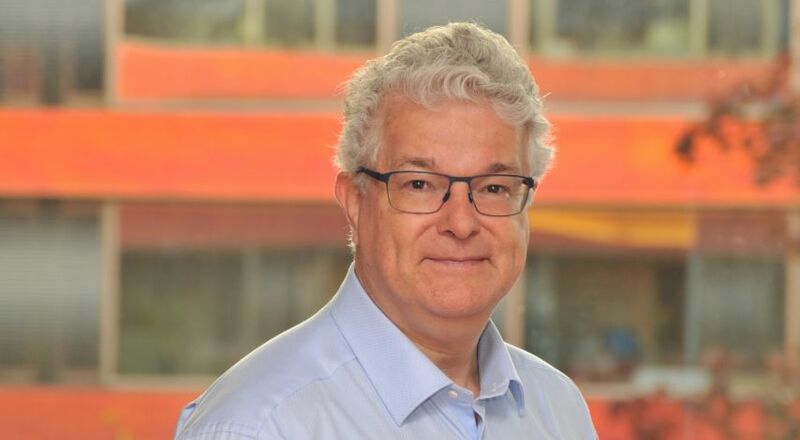 Dr. van den Anker is also the Eckenstein-Geigy Distinguished Professor and Head of the Paediatric Pharmacology and Pharmacometrics Research Group at the University Children’s Hospital in Basel, Switzerland. He has adjunct faculty appointments at The Johns Hopkins University School of Medicine in Baltimore, Maryland and Erasmus MC Sophia Children’s Hospital in Rotterdam, the Netherlands. He also serves part time as Chief Medical Officer at ReveraGen BioPharma, Inc. He is a Fellow of the American Academy of Pediatrics and the American College of Clinical Pharmacology. From 2016-2018 Dr. van den Anker served as the President of the American College of Clinical Pharmacology, where he also served as Secretary. He currently serves as the President of the European Society of Developmental, Perinatal, and Paediatric Pharmacology. Dr. van den Anker has received numerous awards form highly recognizable national and international organizations for the depth, breadth and extent of his clinical and research publications focused on the improvement of the care of ill neonates, infants and children. He has authored or co-authored over 426 peer-reviewed publications, 67 book chapters and over 50 “Letters” addressing contemporary issues important to pediatric clinical pharmacology. His authoritative counsel and recommendations are frequently sought and Dr. van den Anker has served on numerous international, professional, academic and national (e.g., NIH) Committees. PPAG is please to announce the results of the 2019 PPAG Board of Directors election. Shannon Manzi, PharmD, FPPAG has practiced pediatric pharmacy for more than 17 years and is currently the Director of the Clinical Pharmacogenomics Service at Boston Children’s Hospital and the Team Leader for Emergency Services. She is an NR-EMT and has served as a pediatric expert for the Strategic National Stockpile, the National Advisory Committee on Children and Terrorism, the CDC and MADPH. In addition, she is also the Chief Pharmacist for the Massachusetts–1 Disaster Medical Assistance Team and has deployed eleven times, including responses to major hurricanes, the Haitian earthquake and the Unaccompanied Minor Border Crossing mission. She has been a simulation instructor at BCH for 5 years and runs several unique programs related to disaster, emergency and pre-hospital pediatric medicine. She holds clinical adjunct faculty positions at Northeastern University, Massachusetts College of Pharmacy and Allied Health Sciences, and the University of Connecticut. She has authored numerous articles and book chapters, as well as presented many national and local workshops and lectures on pediatrics, simulation, emergency medicine and disaster related topics. "My ultimate objective is to ensure that all members of PPAG continue to feel supported in their collaborations and to advance practice models, research, and education." Manzi said. "We are the pediatric pharmacy organization, and I am proud to serve as President." 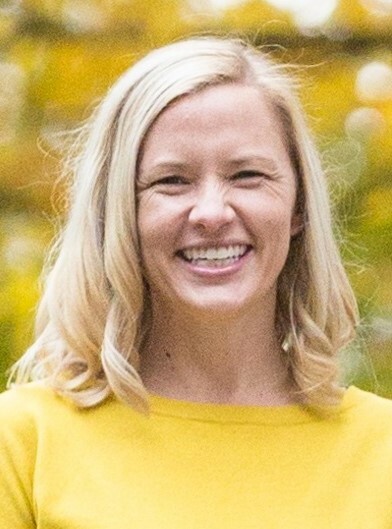 Lizbeth Hansen is currently the Pediatric Acute Care Supervisor and PGY2 Pediatric Residency Director at the University of Minnesota Masonic Children’s Hospital. She is also responsible for the Pediatric Antimicrobial Stewardship program. Lizbeth received her Doctor of Pharmacy from the University of Wisconsin in 2006 and completed a PGY1 Residency and a PGY2 Pediatric Residency at the Medical University of South Carolina (MUSC). After completing residency, Lizbeth was the Pediatric Intensive Care Unit (PICU) clinical specialist at Cleveland Clinic Children’s Hospital before moving to Minnesota in 2011 to take a clinical pharmacist position working mainly in the PICU. Lizbeth has contributed to pediatric pharmacy practice in a number of ways including multiple publications on various PICU topics and a number of presentations and posters at state and national conferences. 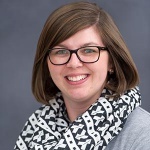 She currently holds a clinical appointment as a preceptor for the University of Minnesota College of Pharmacy and has taken an active role in precepting students and residents at every stage of their education. Lizbeth achieved her BCPS certification in 2008 and her BCPPS certification in 2015. Lizbeth has been a member of PPAG since 2008. Her first leadership role was as coordinator of the Critical Care Specialty Interest Group which she led from 2011 until 2016. In 2016 she took over as the co-chair of the Board Preparation Subcommittee and helped to create and maintain the PICU section of the board preparatory materials. In 2018 Lizbeth took over as Chair of the Education Committee and is currently serving as the 2019 PPAG Annual Meeting PICU Section Programming Co-chair. Chad Knoderer is currently Professor and Director for Clinical and Health Outcomes Research of Pharmacy Practice at Butler University College of Pharmacy and Health Sciences. He graduated with his PharmD from Butler University in 1999. Upon graduation, he completed 2 years of residency training specializing in pediatrics. Dr. Knoderer practiced with the pediatric cardiovascular surgery and cardiology sections at Riley Hospital for Children as well as the pediatric infectious diseases and nephrology sections. Upon joining the Butler University faculty as a co-funded faculty member, Dr. Knoderer established the Pediatric Antimicrobial Stewardship Program at Riley Hospital for Children and served as program director until moving to his current campus-based faculty role. Knoderer currently teaches pediatric pharmacotherapy as well as biostatistics and research design and oversees pharmacy student clinical research. Knoderer is a past Chair of the PPAG Research Committee and Co-Chair and contributor for the PPAG Preparation Program for the Pediatric Pharmacy Specialty Certification Exam. He was recognized as FPPAG in 2016. The FPPAG Selection Committee has chosen the 2019 Class of Fellows in the Pediatric Pharmacy Advocacy Group. Congratulations to Leslie Briars, Gilbert Burckart, Jeffrey Cies, Lisa Lubsch, Sarah Lucas, Rachel Meyers, Kimberly Novak, and Mary Worthington. Leslie A. Briars, PharmD, FPPAG, is a pediatric ambulatory care clinical pharmacist at the University of Illinois Hospital & Health Science System’s Child & Youth Center. She has an appointment to the College of Pharmacy as a Clinical Associate Professor. She received her Pharm.D. degree from the University of Wisconsin in Madison in 1993 and then completed a 1-year pharmacy practice residency (PGY1) in Jacksonville, FL in 1994 at the University Medical Center and University of Florida Health Science Center. In 1995, Leslie completed a 1-year pediatric pharmacy specialty residency (PGY2) at Children’s Hospital in Columbus, OH. Her areas of interest include attention deficit disorder, adolescent medicine, nephrology and HIV. Leslie has chaired the 2008 Annual Meeting and the 2017 Fall Meeting. She served on the PPAG Board of Directors from 2009 to 2012. She has also been a member and chaired the Ambulatory Care Special Interest Group. Gilbert Burckart, PharmD, FPPAG is presently Associate Director for Pediatrics, Office of Clinical Pharmacology, U.S. Food and Drug Administration. Dr. Burckart received his B.S. in Pharmacy from the University of Pittsburgh in 1972, his Pharm.D. from the University of Kentucky in 1975, and did his pediatric residency at the UK Medical Center in Lexington and Norton Children’s Hospital in Louisville. He served on the faculties of the State University of New York at Buffalo at Buffalo Children’s Hospital, and the University of Tennessee at LeBonheur Children’s Hospital. He joined the University of Pittsburgh and the Pittsburgh Children’s Hospital in 1982 where his research focused on drug therapy in organ transplant patients. He has been Principal Investigator on NIH grants in both liver and lung transplantation. At Pitt, he was a Professor of Pharmacy, Pediatrics and Surgery, and served as Director of Research for the Division of Cardiothoracic Surgery. In 2003, he moved to the University of Southern California in Los Angeles, where he was Chairman of the Department of Pharmacy, Director of the Clinical Pharmacogenomics Laboratory, Professor of Pharmacy and Professor of Pediatrics. Dr. Burckart was an investigator at the Children’s Hospital of Los Angeles. Dr. Burckart has previously served as the President of the American College of Clinical Pharmacy, and as President of the American College of Clinical Pharmacology. He is a member of the Pediatric Pharmacy Advocacy Group, and received their Sumner J. Yaffe Lifetime Achievement Award in Pediatric Pharmacology and Therapeutics in 2014. Dr. Burckart moved to the US FDA in 2008. His duties include the direction of the Pediatric Clinical Pharmacology program within the Office of Clinical Pharmacology, and participation in the FDA’s Pediatric Review Committee. His present research program includes analyses of pediatric drug development studies from 1997 to present. He is currently Associate Editor of the Journal of Pediatric Pharmacology and Therapeutics, the official journal of PPAG. Jeffrey Cies, PharmD, FPPAG is a pediatric clinical pharmacy specialist with over 13 years of experience in pediatric pharmacotherapy, pharmacology, pharmacometrics, and pharmacokinetics. Dr. Cies received a Bachelor of Science Degree in chemistry from Virginia Tech, a Doctor of Pharmacy degree from Virginia Commonwealth University, and a Master’s in Public Health with a concentration in bio-statistics and epidemiology from Temple University. He is the Pharmacy Clinical Coordinator at St. Christopher’s Hospital for Children in Philadelphia, PA in addition to being the pediatric ICU and Infectious Diseases clinical pharmacy specialist. Jeffrey holds adjunct faculty positions at Temple University School of Pharmacy and Drexel University College of Medicine. He has authored ~40 peer reviewed publications, has given over 80 abstract presentations at National and International meetings, and has also served as a peer reviewer for 10 different pediatric and adult medical and pharmacy journals. Dr. Cies currently holds fellowship status in the American College of Clinical Pharmacy and the American College of Critical Care Medicine. 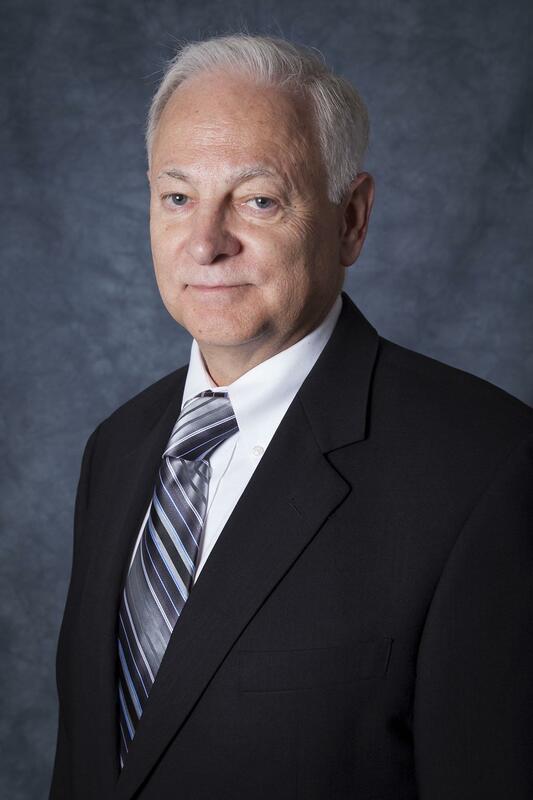 Dr. Cies served as the Chair of the 2012 and 2013 PPAG Annual Meetings, and served on the Board of Directors from 2015 to 2018. In 2015 he was awarded the Spirit of PPAG Award for his contributions as Chair of the Education Committee in 2013-2014. Lisa Lubsch, PharmD, BCPPS, FPPAG is a Clinical Professor in the Department of Pharmacy Practice at the Southern Illinois University Edwardsville School of Pharmacy and Clinical Pharmacy Specialist at SSM Health Cardinal Glennon Children’s Hospital in St. Louis. She provides care to children with cystic fibrosis and other pulmonary problems. Dr. Lubsch received the B.S. and Doctorate of Pharmacy from the St. Louis College of Pharmacy and completed a pediatric specialty residency at the Texas Tech University Health Sciences Center School of Pharmacy. Dr. Lubsch has served PPAG is many ways. She has chaired the following Committees and Task Forces: Silent Auction Committee, 2010 Annual Meeting Committee, Education Committee and BCPPS Review Course Task Force. She served on the PPAG Board of Directors and held the positions or Secretary and President of PPAG. Sarah Scarpace Lucas, Pharm.D. BCPS, BCPPS, FPPAG is a Pediatric Clinical Pharmacist and Senior Pharmacist Supervisor for Clinical Services at UCSF Benioff Children’s Hospital/UCSF Medical Center. She earned her BS Pharmacy and Doctor of Pharmacy degrees from University of Wisconsin-Madison and completed a Pediatric Specialty Residency at St. Louis Children’s Hospital. Dr. Lucas is an Associate Clinical Professor at UCSF School of Pharmacy and teaches didactically along with precepting students, PGY1, and PGY2 residents. As a supervisor, she oversees the clinical pharmacy services, the team-based clinical pharmacists as well as managing clinical initiatives and pharmacy-related quality and safety improvement projects. She is the director of the ASHP-accredited PGY2 Pediatric Specialty Residency program for 2 residents annually. She has 15+ years of experience as a clinical pharmacist in Heme/Onc and Critical Care practice settings and most recently pharmacy administration. Her research and practice interests include Pediatric Critical Care, Medication Safety, and Management. Dr. Lucas served as PPAG education Chair of the Education Committee, Home Program Education Committee, and the BCPPS Recertification Committee. She served on the PPAG Board from 2014-2016. Rachel Meyers, PharmD, FPPAG is a Clinical Associate Professor at the Ernest Mario School of Pharmacy at Rutgers University, and the Pediatric Clinical Pharmacist at Saint Barnabas Medical Center in Livingston, New Jersey. Dr. Meyers completed her undergraduate degree in Biology at the University of Mary Washington and her Doctor of Pharmacy degree at the University of Connecticut. After graduation she completed a PGY-1 residency at the University of Wisconsin Hospital and Clinics in Madison, Wisconsin, and a PGY-2 residency in Pediatric Pharmacotherapy at the University of North Carolina Children’s Hospital in Chapel Hill, North Carolina. 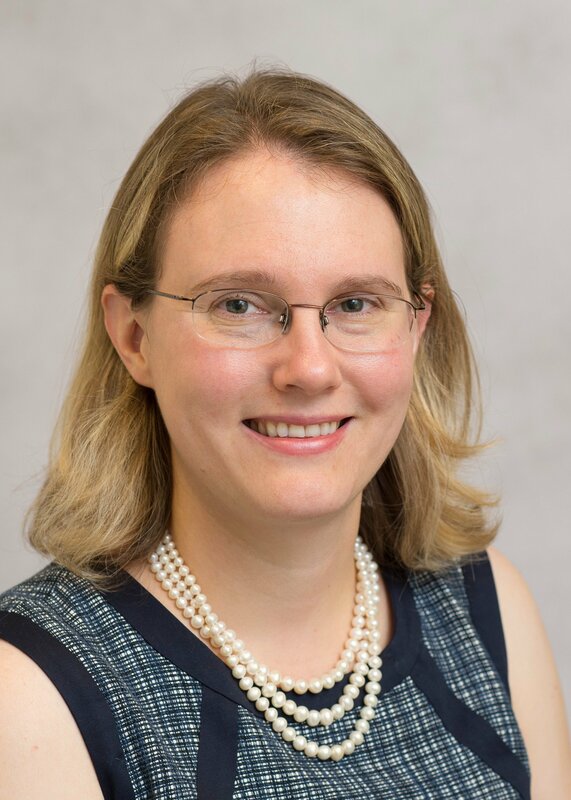 In her current position, Dr. Meyers is a clinical-track faculty who provides both didactic and experiential education in pediatric pharmacotherapy for pharmacy students and residents. Her didactic teaching covers several pediatric topics such as fluids and electrolytes, acute otitis media, pediatric hypertension, pediatric pneumonia, sickle cell anemia, and several lectures in the pediatric elective, focusing on pediatric critical care topics. In addition, she is the coordinator for the Sterile Compounding course, which is a required course for second year pharmacy students. Dr. Meyers practices in the Pediatric Intensive Care Unit and General Pediatric Unit at Saint Barnabas Medical Center. She has contributed to multiple health-system initiatives for RWJBarnabas Health, including standardizing pediatric concentrations, authoring order sets, and serving on system-wide committees including the Pediatric Sepsis committee and the Electronic Health Record (EHR) committee. Her research interests include pediatric critical care, infectious diseases, and dosage forms for children, and she has authored 15 peer-reviewed publications. 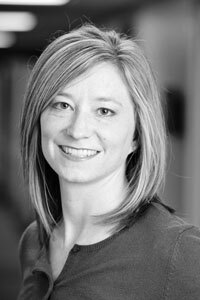 Dr. Meyers has been active in many pharmacy organizations, and has been a member of PPAG since she was a student. She has served as chair of the Advocacy Committee and is the current chair of Legislative Affairs. In addition Dr. Meyers served as a representative of PPAG for the ASHP-PPAG Guidelines for providing pediatric pharmacy services in hospitals and health systems. Kimberly Novak, PharmD, BCPS, BCPPS, FPPAG is the Advanced Patient Care Pharmacist in Pediatric and Adult Cystic Fibrosis at Nationwide Children’s Hospital in Columbus, Ohio. She has been the residency program director for the PGY2 pediatric pharmacy residency since 2006 and has trained 23 PGY2 pediatric pharmacy residents during her tenure. She also serves as a preceptor for residents in the PGY1 Pharmacy Residency and PGY1/PGY2 Health-system Pharmacy Administration Residency programs as well as visiting residents from programs in Ohio, West Virginia, and Kentucky. She has an adjunct appointment as Clinical Assistant Professor at The Ohio State University College of Pharmacy and regularly teaches in the Pediatrics Elective and Integrated Pharmacotherapy courses in addition to precepting students. Dr. Novak completed her Doctor of Pharmacy at West Virginia University in 2002 and then continued her training at University of Kentucky for her Pharmacy Practice Residency, Pediatric Specialty Residency, and Teaching Certificate. Kim has been active in PPAG since 2003 through committee involvement, publication in JPPT, presentation of both posters and lectures at annual meetings, and presentation of BCPPS preparation and recertification material at the Board Preparation and Recertification Course and via webinar. She additionally served three 1-year terms as Secretary of PPAG from 2015 to 2018. She is currently serving as President for the Ohio Society of Health- System Pharmacists. Her practice and research interests include cystic fibrosis, pharmacokinetics, antimicrobial optimization, mental health, and mentorship of pharmacy residents and students. Mary Worthington, PharmD, BCPS, BCPPS, FPPAG is a Professor of Pharmacy Practice at the Samford University McWhorter School of Pharmacy and practices as a clinical pharmacist at Children’s of Alabama in Birmingham. She is a graduate of The Ohio State University with degrees of Bachelor of Science in Pharmacy and Doctor of Pharmacy. She completed a Residency in Hospital Pharmacy at Columbus Children’s Hospital and a Residency in Pediatric Pharmacotherapy and Home Health Care at The University of Tennessee in Memphis. Dr. Worthington has been actively involved as a pediatric pharmacy practitioner for 31 years. Her current patient care activities are primarily in the area of General Pediatrics. She is passionate about learning new and betters ways to teach pediatric pharmacy. Research interests and areas of publication include pediatric infectious diseases, pharmacy/simulation education, asthma and cerebral palsy. Dr. Worthington has been a member of the PPAG: Pediatric Pharmacy Association since 1997. She has provided service to the organization through work on the Communication/Membership, 2009 International Symposium Planning and Nominations Committees. She was a member of the Board of Directions from 2013 to 2016, and she has recently joined the faculty of PPAG University.